In 2015, the movement "An Era of Conscience" continued to spread to every corner of the world. The international volunteers promoted in a variety of ways with happiness and creativity. They participated in the UN DPI / NGO conference, Summit, Hollywood party, street flash and so on, forming a good butterfly effect in five continents. 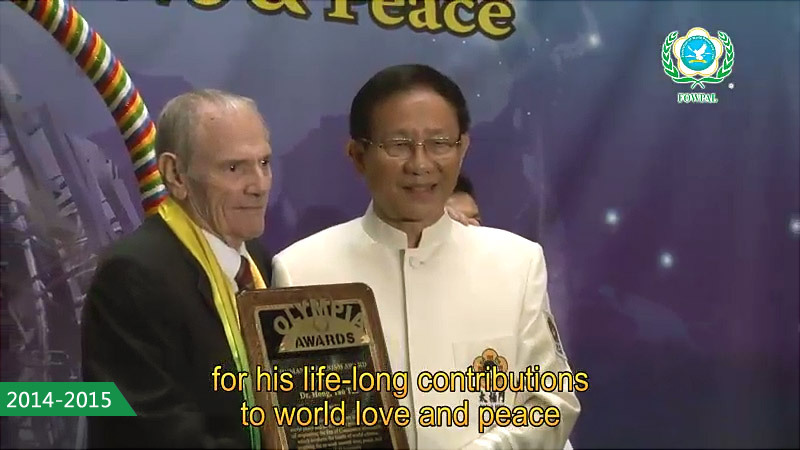 Dr. Hong, Tao-Tze was awarded the "Humanitarian Spirit Award" in recognition of his life-long contribution to the world's love and peace and the great achievements of the movement "An Era of Conscience".